The cost of last winter’s snow plowing service now tops $700,000. The bills for last winter’s snow plowing keep coming in. 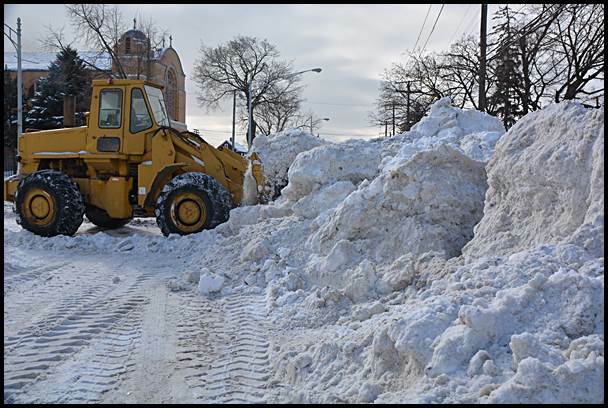 In the most recent three-month financial report submitted by Emergency Manager Cathy Square, Platinum Landscaping, Inc. was paid another $153,015 for snow plowing, salting and cold patching. The cold patching portion of the company’s latest bills amounted to $47,000. The company earned a total of $751,752 for snow plowing, street salting and cold patching for the winter of 2014, which included billing from last November to the end of June. Platinum was contracted to clear and salt only emergency routes, but at one point was told to clear side streets as well. 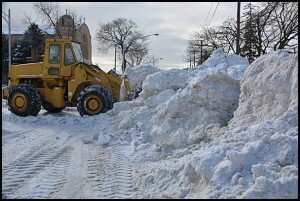 The company cleared only a portion of the city’s side streets. The company also cleared a few city parking lots during the season. Last winter was not typical. There was a record amount of snowfall – over 93 inches – and a deep freeze that did not let up for several weeks. But Mayor Karen Majewski has been keeping track of Platinum’s bills for snow plowing on her Facebook page. She told The Review the bills seem high for the service the city received. “I can’t see any way in which that amount of expenditure is justified by the amount of work done,” Majewski said.